For most of us, a new year means new goals and a new desire to get organised and get things done! To help you achieve this, we’ve rounded up a few of our favourite planners. 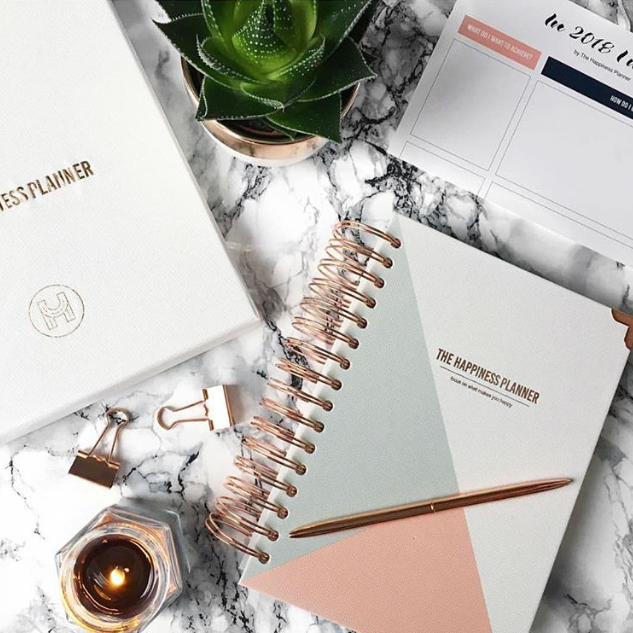 Whether you want to be more grateful, focus more on personal growth, plan out your goals and dreams or simply organise your day to day life we’ve got the perfect planner for you! 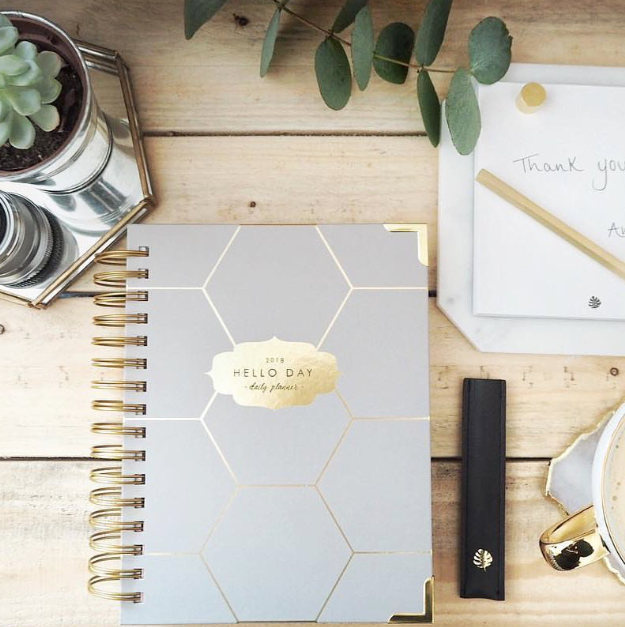 This beautifully designed, stylish Planner is designed for Women who want to get things done! It's all about making every day count. It aims to help you to feel good about yourself and life and encourages you to think about what is important to you and what you are working towards - both professionally and personally. It helps you manage your daily responsibilities by encouraging you to list and prioritise your daily/weekly tasks. The Hello Day Planner is a reminder that every day you can turn over a new leaf. It really encourages you to start each day with a brand new perspective, rather than just letting the days go by and before you know it one day blends into another and you have lost your sense of purpose. Hello Day will improve your Mindset, Health and help give you a sense of accomplishment. The Passion Planner is great all rounder. 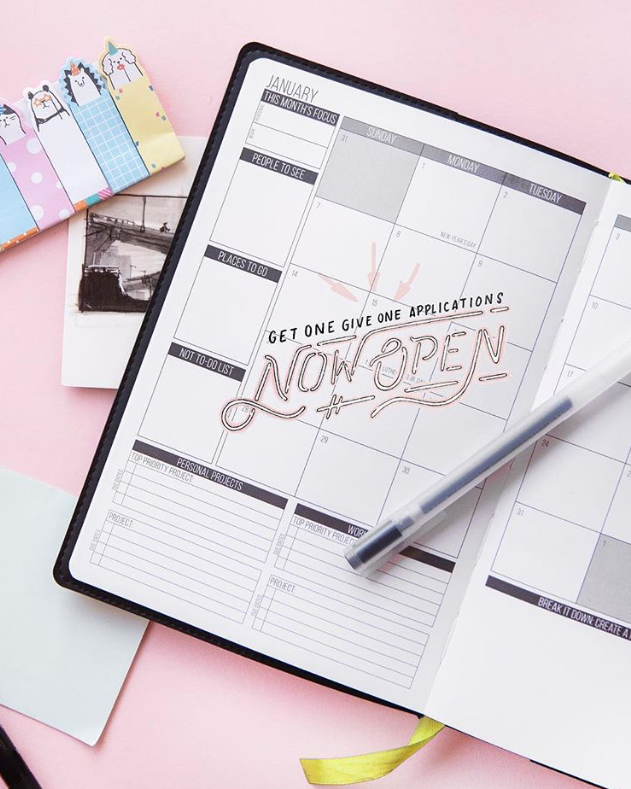 Designed to encourage you to plan for the future, reflect on the past and act on the present, the passion planner will help you break down your goals and help you to incorporate them into your daily routine. It is a great way to declutter your mind to help you to focus on what is important. Inside every passion planner is a goal setting guide, appointment calendar, motivational quotes, a gratitude log, personal and work to do lists, weekly and daily focuses, a sketchbook and a journal! Also, with every planner you purchase from the website gives the opportunity for Passion Planner to donate planners to others in need! Focusing on your happiness rather than productivity, the happiness planner is different to most planners. It is designed to make you more positive and happy in your life by applying the practices of positive thinking, gratitude, mindfulness and self-development (all of which are scientifically proven to help you sleep at night, boost your mood and self esteem and improve your physical & psychological health!) Inside the happiness planner is yearly pages, weekly plans, weekly reflection, inspirational quotes, meal plans and lots more! The Positive Planner is a beautifully designed book which aims to help you find the good in every day, get to know yourself better and feel in control of your wellbeing and happiness. It focuses about expressing your feelings and getting things off your chest each day with the idea that this will enable you to start noticing patterns and make connections between what you do each day and how you feel. When you reflect on this, you'll be able to see how your emotions and mindset effect what you do each day. This will allow you to see what you can change in your routine to make you feel more positive and live a much happier life! Inside the Positive Planner is a weekly meal planner, shopping list, calendar, mood tracker, mindfulness activities and activities to encourage positive thinking. The Bloom Daily Planner comes in 8 different layouts with over 34 designs to choose from. Each planner is beautifully crafted with a unique design. The bloom planner understands the stresses of being a modern day woman and is committed to helping women bloom into the best versions of themselves and live more fulfilled lives. There is a planner for everyone and you can take a quiz online to find which one best suits you. What are your favourite planners for 2018? Let us know in the comments! IPhone Vs Camera - Which Is Better?